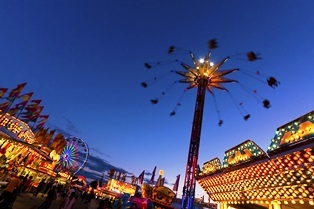 Florida Workers’ Comp for Theme Park Workers’ Injuries | Johnson & Gilbert, P. A. Some of the biggest tourist attractions in Florida are its theme parks, such as Disney World, LEGOLAND, and Daytona Boardwalk Amusements. Thousands of workers are employed at these theme parks, and many are younger. They may not realize they're entitled to workers’ compensation benefits if they suffer a workplace injury. This may be true even if they're part-time or seasonal workers. Weather. Many people who work at theme parks must work in extreme humid and hot conditions, especially in the summer months. They can suffer heatstroke and other heat-related injuries that quickly become medical emergencies if they don't receive prompt medical care. Heavy costumes. While children and their parents enjoy seeing their favorite characters up close, the individuals portraying can suffer head, back, and spine injuries from wearing these heavy costumes. Slip and fall accidents. These are the common ways employees suffer injuries. Spilled food and drinks, wet pavement and swimming pool decks, cracked pavement, and broken stairs are just some of the dangers. Individuals can develop serious medical conditions, such as traumatic brain injuries, back injuries, spinal cord injuries, and broken bones. Ride accidents. When the rides that employees operate malfunction, they might experience broken bones, amputations, head injuries, back injuries due to this dangerous machinery. Performances. Some employees dance and provide other entertainment programs for guests. Unfortunately, there's often the risk of a slip and fall incident, sprains or strains, or more serious injuries. Did you have an accident while working at a theme park? Our experienced workers’ compensation attorneys are available to explain your rights to benefits in Florida, and to help you file your claim so you can receive financial support while you recover. Call our office today to schedule a free consultation to learn more.